The two international rappers – Nicki Minaj and Cardi B have definitely not given up on their unpleasant things that have happened in the past at New York Fashion Week’s Harper’s Bazaar Icons Party in September. 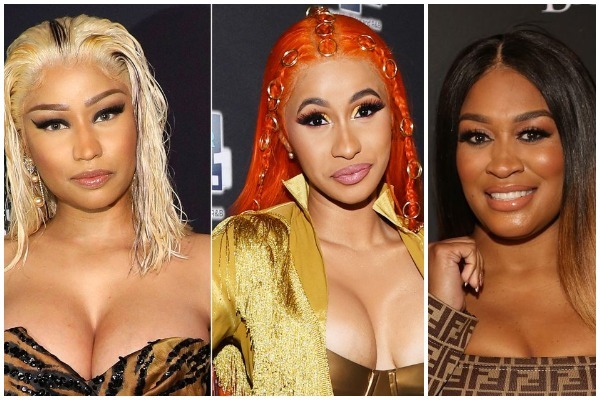 If you are living under the rock, the infamous feud started with 26-year-old Cardi B hurling her shoe at 35-year-old Nicki Minaj and later Cardi B was escorted out of the party with one less shoe and a lump on her forehead near her eyebrow. Till today it was believed that the Cardi B was injured by security guards, until Nick Minaj reveals Rah Ali’s name on QUEEN Radio. The on-going war between the singers is so melodrama that it’s really hard for the readers to trust their stories. Nicki says you wont believe my words unless someone comes forward with a footage of that particular day which can prove her truth. Until Nicki Minaj’s claim on Queen Radio, nobody paid heed at Rah’s comment and ignored as one of publicity stunt. It is still unclear how and when Rah Ali got involved between Cardi and Nicki’s fight at NYFW.